Cardiovascular diseases (CVDs) are expected to be the fastest growing chronic illnesses between 2007 and 2017, growing at 9.5% annually, and accounting for the second largest number of non-communicable diseases (NCDs) patients after mental illnesses in India, according to an Assocham-Deloitte joint study. The report titled ‘Cardiovascular diseases in India’, released a day ahead of the World Heart day (September 29), reveals that CVDs accounted for around one-fourth of all deaths in India in 2008. A more worrying fact is that the incidences of CVDs have gone up significantly for people between the ages 25 and 69 to 24.8 per cent, which means we are losing more productive people to these diseases. Between 2007 and 2017, India is projected to cumulatively lose USD 236.6 billion because of heart disease, stroke, and diabetes, shaving 1 per cent off the GDP. In 2000, in the age group of 35 to 64, India lost 9.2 million years of productive life (PYLLs), almost six times the figure for US, noted the study. India is not just the diabetes capital of the world with more than 50 million patients, it also has the highest prevalence of metabolic syndrome and obesity – 20 million Indians are obese today with 70 million projected by 2025; 20% of Indians suffer from hypertension. Further, in the absence of any national program for prevention and management of CVDs, it is expected to increase to 17.9 million PYLLs by 2030, more than nine times the corresponding figure for the US, adds the paper. While releasing the ASSOCHAM study its Secretary General, Mr. D S Rawat said, “Inactive lifestyle, lack of exercise and poor eating habits are making millions of urban Indians face a high risk of heart disease.” Majority of them are overweight and prone to heart attacks and other cardiovascular problems due to unhealthy blood pressure, cholesterol or blood sugar levels. 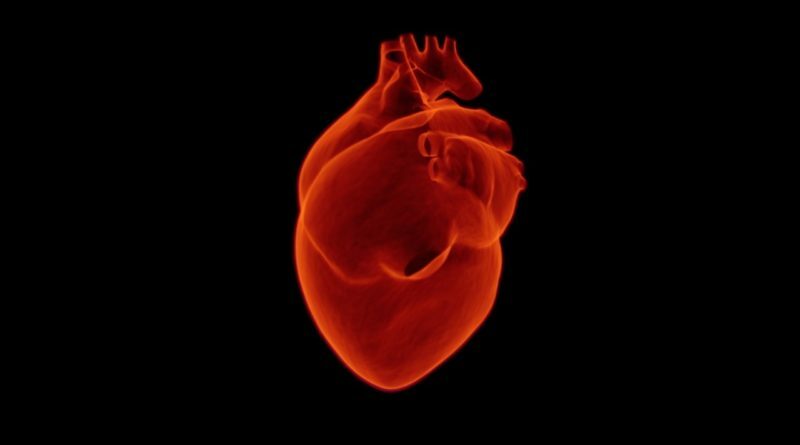 The growth of heart diseases is dependent on a number of interlinked factors such as aging, changing lifestyles and food habits, and other rapidly evolving socioeconomic determinants across developing nations, reveals the ASSOCHAM-Deloitte findings. All these factors together create a domino effect, resulting in increased incidence of cardiovascular diseases. Socioeconomic determinants like improved access to healthcare, higher income levels and globalization, and urbanization drive increases in CVD risk factors. Around 14% of Indians smoke daily, and increasingly younger people are taking up smoking. Smoking is a major cause of atherosclerosis, and doubles the chances of mortality from heart diseases. As per the results, smoking alone is estimated to be responsible for 22 per cent of cardiovascular diseases in industrialized countries, and for the vast majority of some cancers and chronic respiratory diseases. Eighty percent of coronary heart diseases, 90 percent of type II diabetes and one-third of cancers can be prevented by maintaining proper diets, increasing exercise and stop smoking, adds the paper. Mr. Rawat further said that taking up corporate wellness program improves chronic and lifestyle diseases of India Inc. The benefits of a workplace wellness program, improve presenteeism, Control/reduces escalating health care costs, improve productivity, increases employee loyalty and reduces attrition rate, employees leading healthy lifestyles tend to take lower sick leaves with improved work performance and increased productivity that reduces overall costs of the organisation. India faces a challenge of shortage of trained healthcare personnel at all levels, and especially in the rural areas. There is only about one doctor for every 1700 people in India and it faces a more than 60% shortfall of specialists at the CHC level. India produces less than 30,000 doctors every year and there is a shortfall of about 600,000 doctors and 1,000,000 nurses to reach the WHO recommended standard of 1 doctor every 1000 people. The situation is even grimmer when it comes to cardiology; India trains only about 150 cardiologists every year17, and the number is not enough given the disease burden. There is a shortage of adequately trained specialists, nurses and technicians for cardiology to cater to the masses for preventive health check-ups, interventions and disease management. Inequitable access to healthcare delivery has been a key issue with the Indian healthcare system. Public healthcare infrastructure for cardiology is inefficient and inadequate too. Around 60% of the hospitals in India are located in the urban areas and cater to only 30% of the population. Only 13% of the rural population has access to a primary healthcare facility and less than 10% to a hospital. “In the cardiology industry, product innovation is underway with the introduction of new equipment and drugs. What is needed is the localization of innovation, keeping in mind the Indian ground realities”, said Mr. Rawat.